Fashination, privacy and refined atmosphere, in romantic apartment of medioeval village. 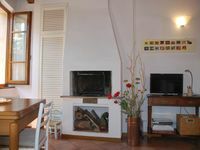 Property 12: Fashination, privacy and refined atmosphere, in romantic apartment of medioeval village. La Senesina, Monteriggioni, Siena. In the best countryside of Tuscany ! Property 39: La Senesina, Monteriggioni, Siena. In the best countryside of Tuscany ! Property 42: Best Location. 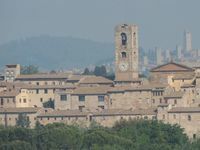 Heart of Tuscany; Up to 25% "Sconto" Last Minuted Discounts -ASK! Very unique. A real cultural experience. The apartment was well equipped and clean. We ate out for most of our meals as getting groceries and bringing them back to our apartment was somewhat complicated as parking was quite a distance from our accommodation. Be prepared to do lots of walking but in a very safe community. Master bedroom was windowless. Other bedroom overlooked main traffic area and was quite noisy. Owners very pleasant and helpful. Our apt was wonderful. Francesco was a lot of help. Even called us a taxi when we left. I highly recommend this perfect apt.